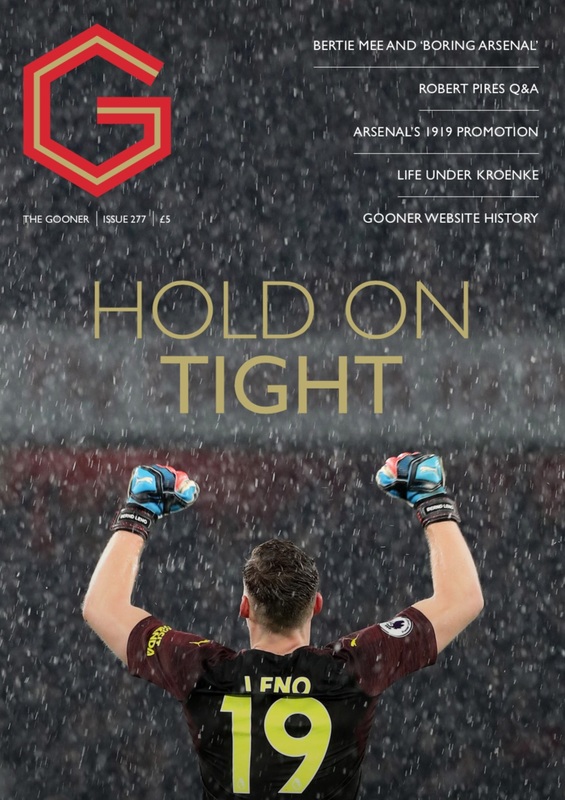 The Gooner issue 277 is the final edition of the 2018-19 season. 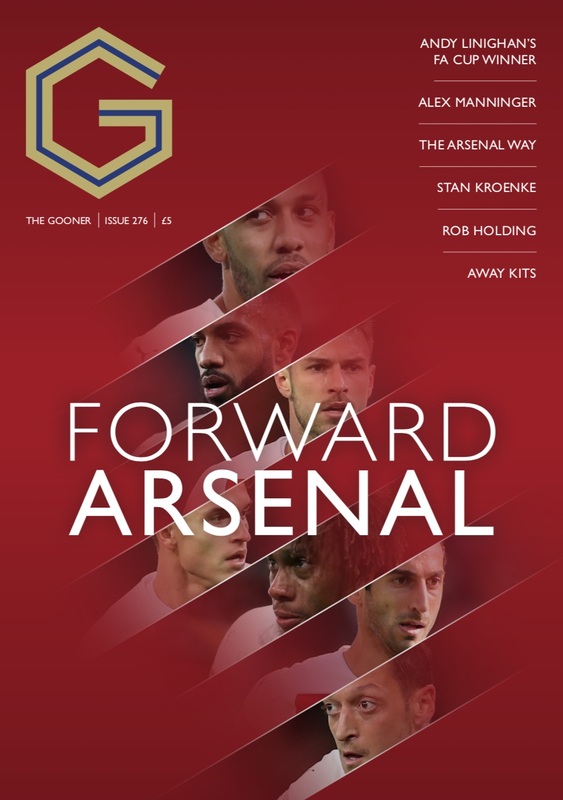 The current topics addressed include whether or not Arsenal will make the top four, the argument for selling Pierre-Emerick Aubameyang this summer, the success of the signings since Arsene Wenger’s departure, the state of the club six months after Stan Kroeneke’s takeover and the merits of playing out from the back. There is retro / historical content in the form of articles on Bertie Mee and the ‘Boring Arsenal’ tag, the club’s fixture congestion over the years, Manu Petit’s winner v Derby back in April 1998, and the club’s controversial promotion to the top flight 100 years ago. There's a piece on Jimmy Rimmer and another on the club’s changing status over the 30 years of The Gooner’s existence. 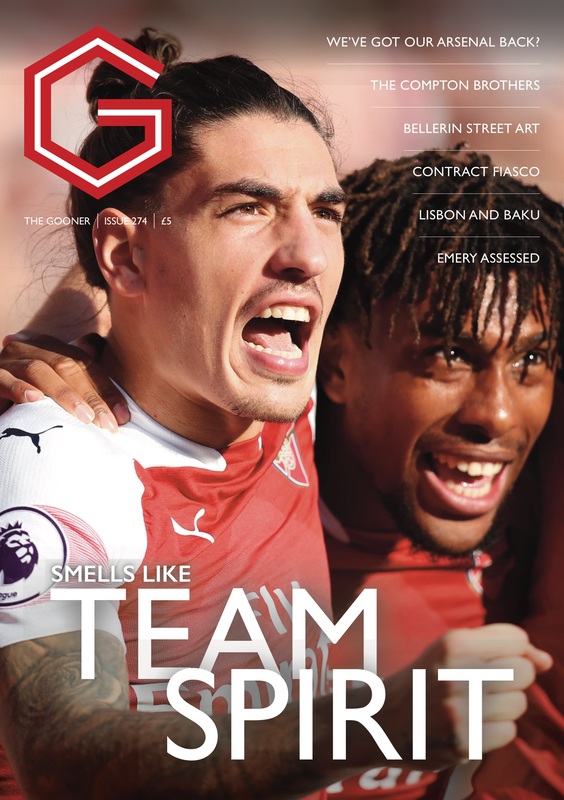 Added to this, there’s an account of a Q&A with Robert Pires held at a north London school, a potted history of The Gooner’s website, an interview with 80 year old superfan Maria Petri and trip reports from the matches against BATE Borisov and Rennes. 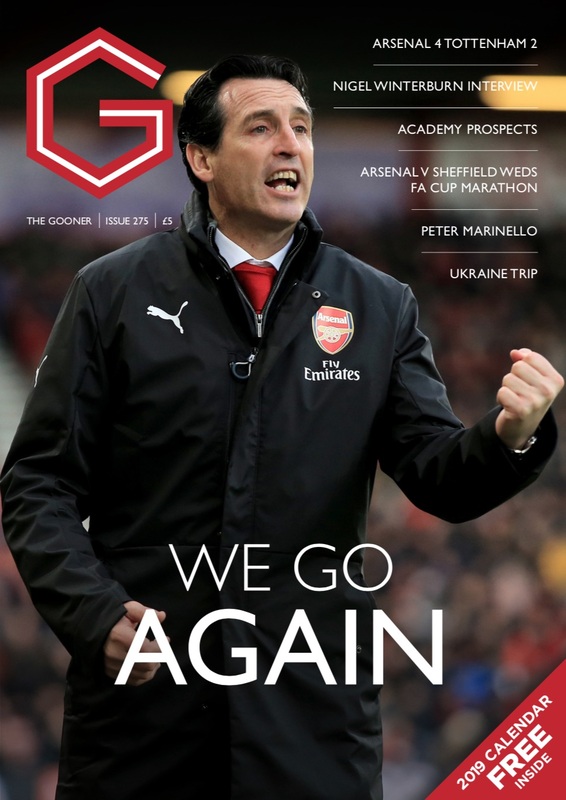 Add in our regulars including Talking Point features on recent matches, The Spy, Mickey Cannon, Talking Reds, Well Played and our ‘Up the Arse!’ humour section and you have a plethora of Arsenal reading spread over 68 pages to keep you going through the summer. Please use the reference ‘277YourSurname’ on the payment – eg ‘277Smith’ and follow up the payment with an email to thegoonerfanzine@btinternet.com stating your name and address, and the reference that you used for payment (e.g. 277Smith or whatever). 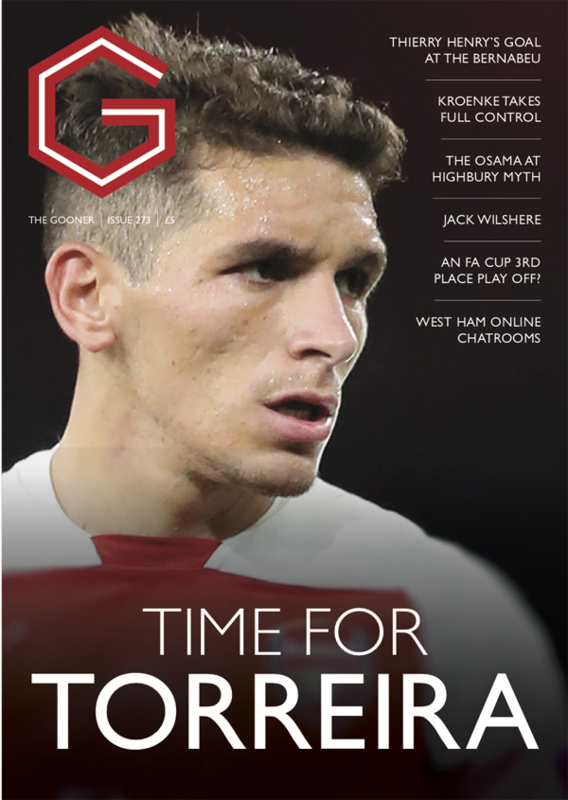 Via direct PayPal payment to the email address thegoonerfanzine@btinternet.com. We have a direct paypal.me link - paypal.me/goonerfanzine or you can log on to your PayPal account and make payment from there. Pay £7.50 and state in the message you are requesting issue 277 (although we’ll assume this if there is no message from the amount paid). If doing this, please make your payment a 'friends and family' / personal gift payment – this helps keep our costs down. Very important – put you name and address is the message with the payment so we know where to send it!